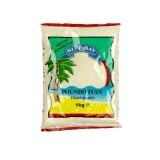 All Africans consider corn starch or root vegetable starch as their staple. Why buy substitutes, when the real thing is available? 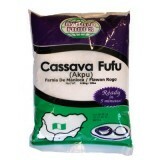 We have cassava fu fu, cassava flour, yam flour, plantain flour and gari for West and Central Africans. 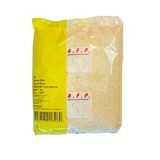 For East African & South African food we maize meal. Did you know that our maize meal is equivalent to a very coarse corn meal flour. 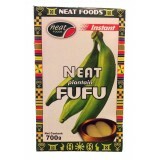 Use it to make cornbread or pap. 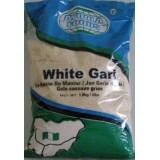 Gari constitutes a daily meal to some 150 million people world wide. It is a popular West African fo..
Cassava Fufu (Tapioca / Mandioca / Manioca) is processed in the old fashioned African/South Ame..
Cassava (Manihot esculenta, crantz) is also known as Manioc / Manioca / Mandioca. 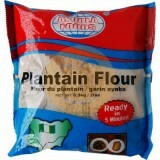 It..
Plantain Flour is made from properly mature plantain and natural grown tropical cassava as basic ing..
Yam flour is the product of peeled yam, which is dried and ground into brown flour. This is made by .. 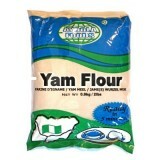 Pounded yam is smooth dough of mashed yam often eaten with a vegetable soup or stew. It is much like.. 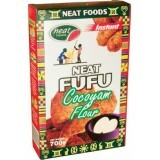 While Eba, Amala and Iyan might be the most common solid foods, Plantain Fufu is being widely talked..
Neat Cocoyam fufu is made from mashed cocoyam. It could also come in powdered or flour form. Coco..